An article in the journal Current Problems in Diagnostic Radiology describes the successful implementation of a system where measurements acquired on any ultrasound unit are automatically transmitted into the final radiology report generated in the reporting software. 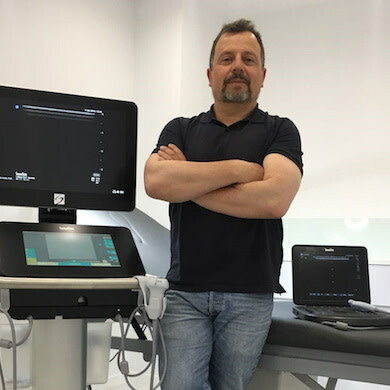 The measurement auto-filling system was implemented by the radiology department of a multisite academic medical centre, which operates 21 diagnostic ultrasound units. "Auto-populating measurements in ultrasound reports has been well received by our faculty. We received positive feedback that this initiative both reduces dictation time and allows radiologists to focus on the images rather than transcribing numbers," article authors write. Reliable transmission of ultrasound measurements into radiology reports is fraught with potential sources of error. 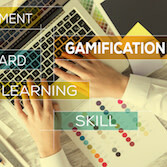 In a conventional workflow, measurements are either written by hand on worksheets and/or dictated from worksheets or the images themselves into the radiology report. Valuable physician time is spent dictating, checking and editing these values and this process is error-prone. For this study, researchers employed a transfer-software application to auto-populate measurements. 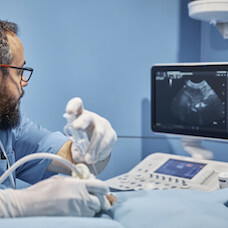 Ultrasound exams typically performed in the emergency department (such as right upper quadrant, complete abdomen, renal/bladder, scrotum, thyroid, pelvic and pregnancy) were targeted for automatic measurement transfer. Implementation of the system involved creating measurement fields for each measurement on each ultrasound unit of the multisite academic department. These fields were then mapped in both the transfer-software and the dictation software, to set up a 1:1:1 correspondence for each field. As a result, each measurement acquired by the technologist would automatically populate the radiology report within the dictation software. The research team created and mapped 128 fields for 39 exam templates. The team set a goal for 90% utilisation rate by both technologists and radiologists. After implementation, technologist utilisation rate was 86-96% and overall radiologist utilisation rate was 92-93%. Radiology resident utilisation rate was highest, at 95-96%. "Training the technologists and radiologists to be vigilant for errors was an important component of the implementation. Technical failure and human error are inevitable and these would need to be identified and corrected as they would occur," the researchers note. For example, if the common bile duct (CBD) is measured in error as 14 mm, the technologist may realise this and delete the inaccurate image with that measurement. However, the measurement will still be stored by the ultrasound unit, unless it is also deleted from the ultrasound unit’s memory data tables. When the technologist re-measures the CBD accurately as 4 mm, the auto-filling system, depending on the configuration, may transmit the largest value obtained (14 mm) or an average of the two values (9 mm), thereby leading to a report with a wrong measurement. The researchers conclude: "With proper planning prior to implementation (including identifying a leadership team and defining the scope of the project), customising the system to institutional preferences, and troubleshooting during the process, such a system can be effectively implemented to streamline ultrasound measurement reporting."